Thanks for sharing, they are so inspiring. 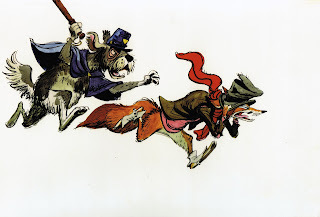 It is the brilliant work of Marc Davis! Great! 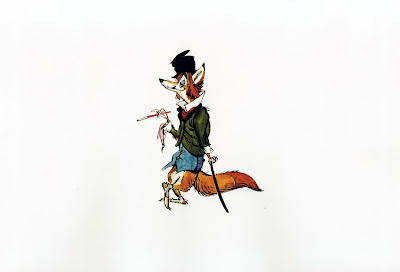 Marc Davis is great at drawing foxes! The expression in the ninth picture looks like it was designed with John Sibley in mind. This artwork must have influenced the designs on 'Robinhood' some years later. This looks like it would have been wonderful. 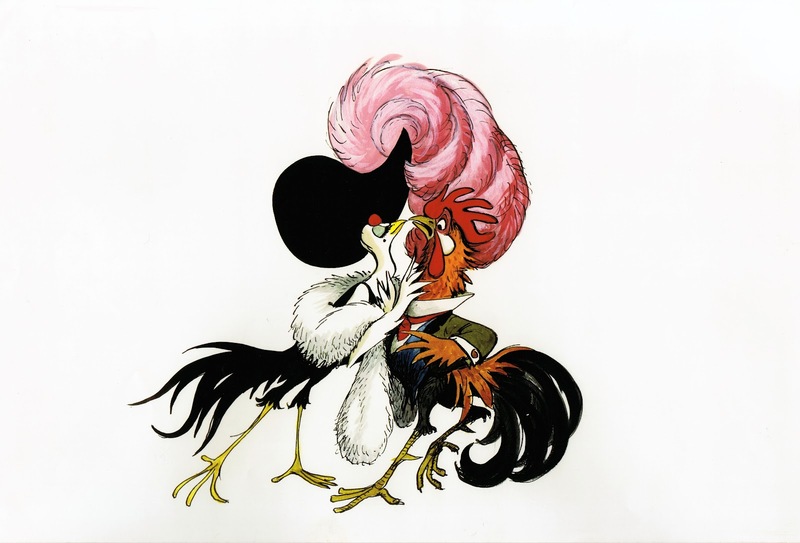 Maybe this is where Don Bluth got the idea to do Rock-a-Doodle. These drawings are more than amazing, and the acting is so wonderfully clear and vivid! Andreas: Thanks for sharing these drawings. I maintain that pretty shapes are not enough for character design, there's gotta be a character in there too. These sketches are nothing if not full of character. David McBride: No "Maybe" necessary! Incredible. 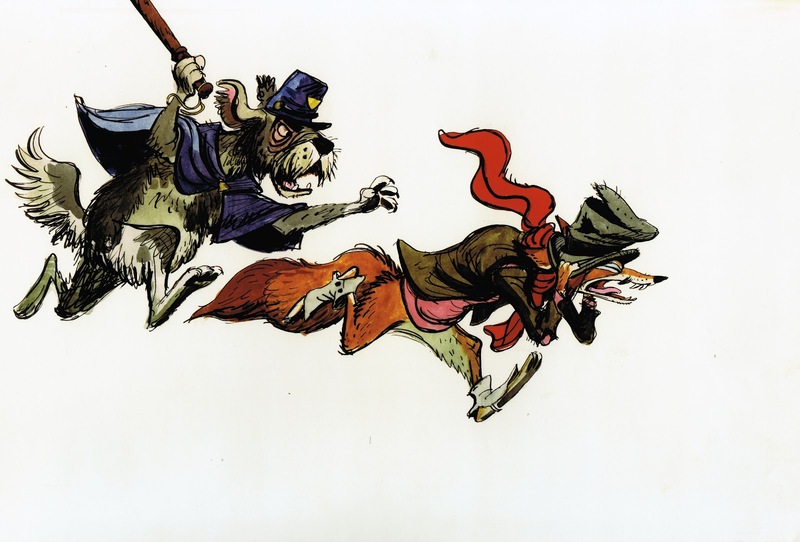 Is it me, or does the character in drawing #9 (on the left) look like Brer Fox?! 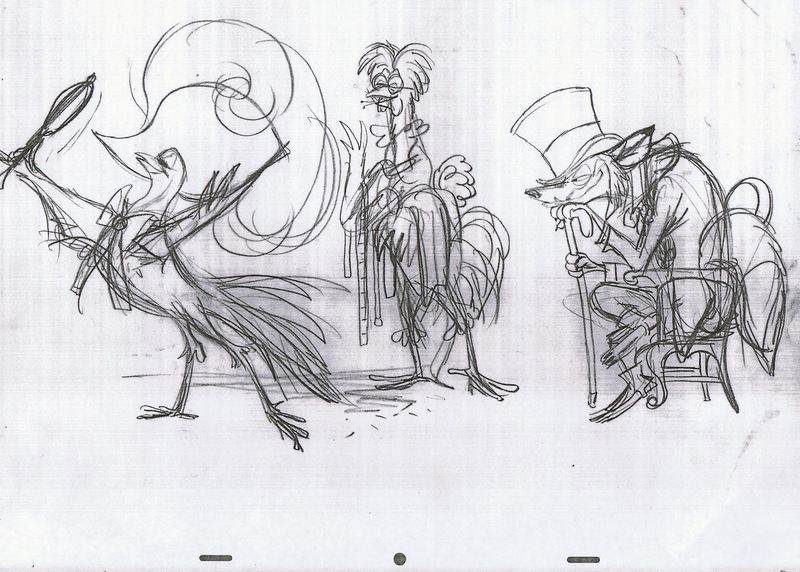 It looks like some of these characters were put into Splash Mountain, with input by Davis no doubt. Andreas sorry that I say this. But I stil waiting on a response of you. I like too know what you think about me, because I know you have hear some story´s about me! Hope too get a reponse of you! 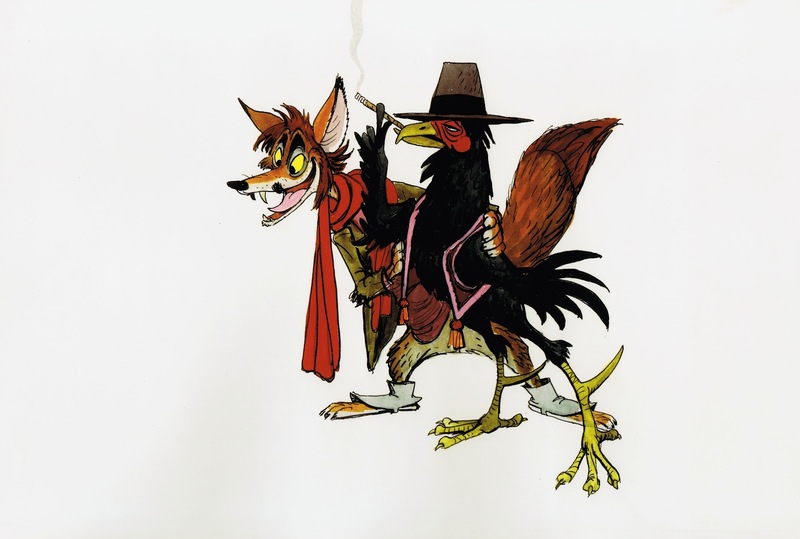 The dog police officer looks a lot like Davis's dog cop in America Sings! @Andie: the non-Song of the South Splash Mountain characters were transplanted from the Marc Davis-designed America Sings attraction when that show was dismantled at Disneyland. It seems to me that Davis certainly may have used some of his Chanticleer efforts as character inspiration for that show! This one wins my vote for "Best Post" on your blog!!!! 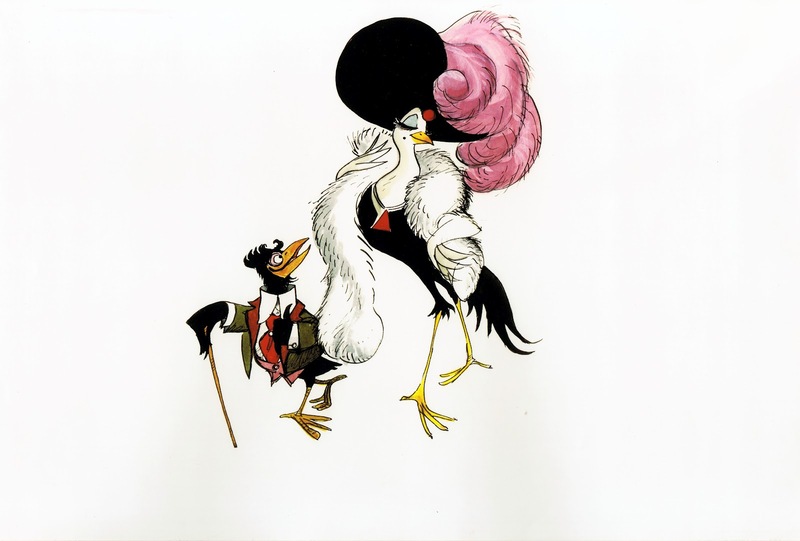 Dynamite illustrations...what a find. Excellent post, Andreas. 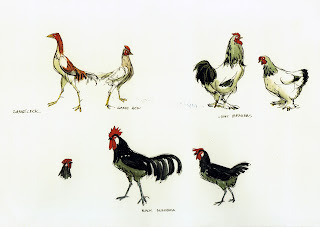 Do you have any information about Marc Davis' process in creating these illustrations? Did he work from pencil to ink to color? That's exactly how Marc worked. Before adding color he would mount the drawings on cardboard. That way the artwork stays flat. Ah, cardboard! The secret ingredient! Thanks for the info, sir. 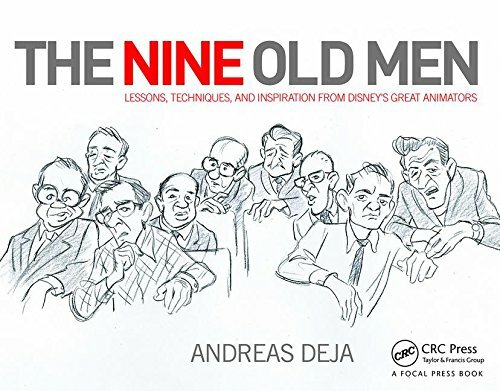 Do you have any recommended Disney reading to follow up The Illusion Of Life by Frank and Ollie and the Drawn To Life lectures by Walt Stanchfield? 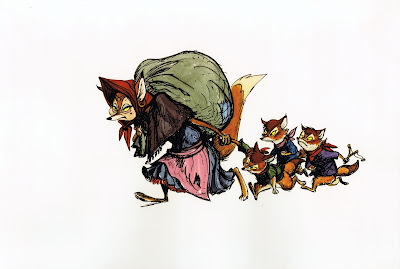 What a crying shame this was never animated, I love the anthropomorphic Disney movies and am especially fond of foxes, especially in the style of a villian, though I must admit the fancy Hen up there catches my eye, she makes me think of a Gabor. Thanks for the great pictures. Oh my gosh, all of these are beautiful! Such a shame this never really got off the ground. Love these so much. those drawings are brimming with personality! I agree, I dont see this project getting turned down based on lack of character. 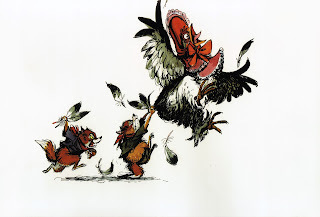 In Bill Peet's book, he says it was him that yelled from the back of the meeting. 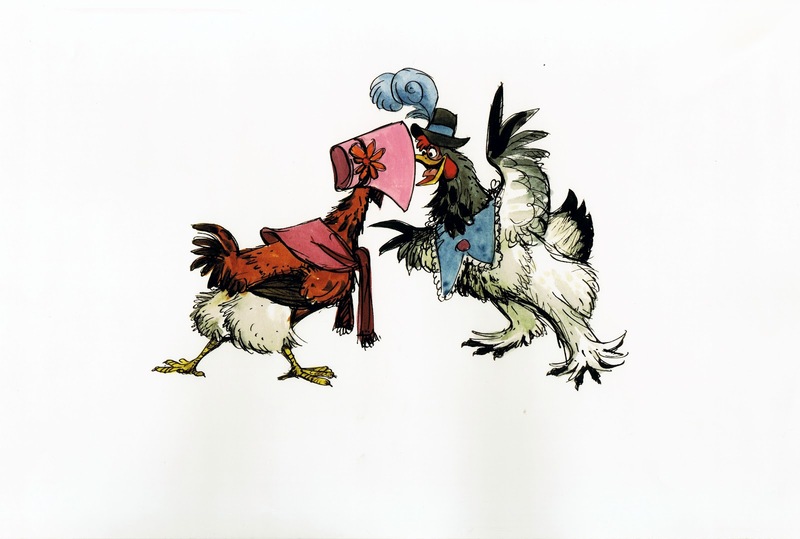 "That you can't make a personality out a chicken". I suppose you gotta do whatever it takes to get your project green lit? Chanticleer is an old story from a collection of tales about Reynard the Fox, just fyi :) . I wondered the SAME thing when I saw this post. Not so much that Bluth stole the name as it's an ancient one anyway, but that he ripped off a bit from this project :\ . It'd kind of be low if he did. 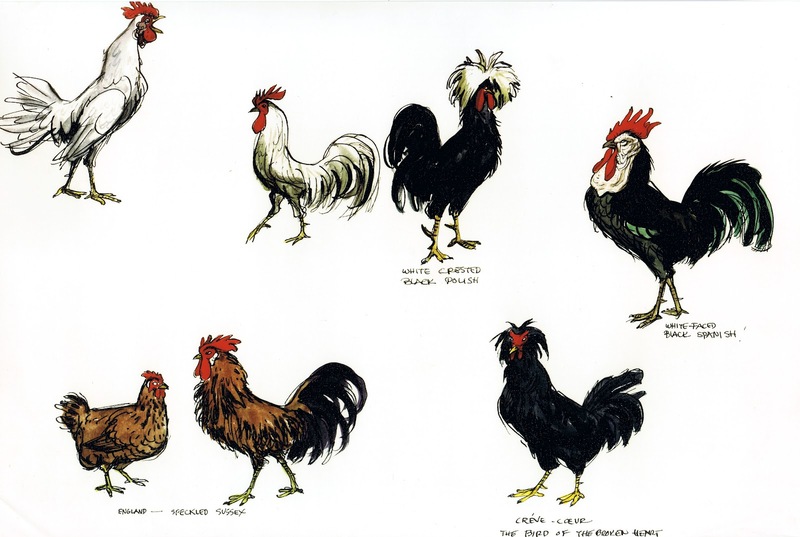 The artists at Disney sure knew how to draw roosters. This fella, Robin Hood's, Darkwing Duck's Steelbeak . . . I love these designs by Marc Davis. They are so full of life and character! You can really see what his vision was with each one of these drawings. I'm curious though, is there any surviving material from Ken Anderson and Milt Kahl on this project? I've heard they were both on this project as well before it got cancelled.